With a 9 inch diameter, this is a smaller version of award winning personalized Easter basket. Large enough to hold plenty of eggs and chocolate and other Easter delights, this perfect personalized Easter basket is ready for egg hunting or surprise chocolate treats. 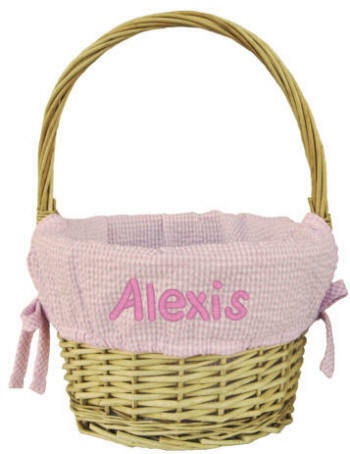 Lined with pink gingham and tied with side bows we personalize with an embroidered name or monogram. This basket is also a perfect Easter table top decoration (personalize with the family name) or a wonderful addition to a baby girl's room. 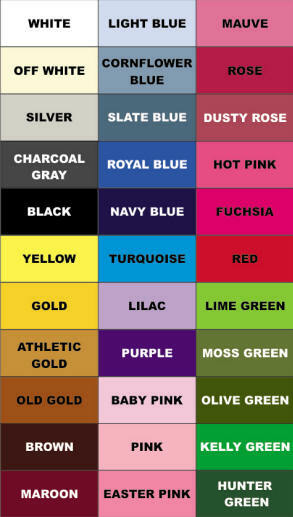 The Easter basket is natural willow, the gingham seersucker liner is available in two color choices - pink or blue. We will personalize on the liner in your choice of thread and lettering style to create a unique personalized Easter basket any child will love to carry and fill. Easter basket size: 9 in. diameter.